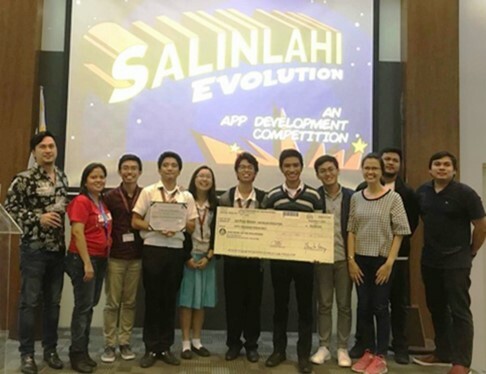 The UP Rural High School’s team of senior high school (SHS) students who competed in the Salinlahi Evolution Application Development emerged as champion. The competition, spon­sored by the DOST Philippine Science Heritage Center, was held on December 7, 2017. Awarded Php 50,000 cash prize and a certificate were team members Jian Hurl Asiado (project leader), Akemi Ray Goshi (tech­nical artist), Gian Cedric Mauricio (core programmer), and Luis Daniel Yonson (concept artist). 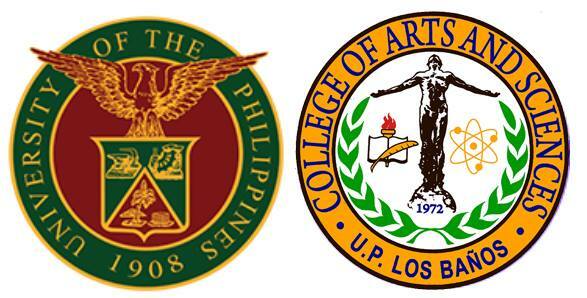 UPRHS students brought home PhP50,000.00 cash prize and a certificate as champions. Their winning game is called “Agham ni Adam” —an educational puzzle in a post-apocalyptic setting– named after its main character, the child Adam. He needs help in saving mankind against a villain intending to take over the world by imprisoning scientists. Adam’s mother, who holds the knowledge in making the strongest Super Bomb to destroy Earth, is in trouble. The game takes the player to Adam’s journey toward saving his mother and humanity, along the way meeting some of the Philippine National Scientists who also lend a hand in guiding the player to become a Hero of Science. This game will be exhibited during the National Science and Technology Week celebration in coming July 2018. Meanwhile, in its cultural exchange program, UPRHS sent six teachers and 20 students from November 2017 to January 2018 to participate in the counterpart programs in various Japan Agriculture senior high school. This UPRHS program aims to encourage cross-cultural understanding and international studies among students and teachers. Specifically, it undertakes activities like homestay program, collaborative faculty research and academic meetings, research colloquia, exchange of materials, publications and materials for educational purposes. UPRHS takes pride in its sciences program. Earlier, on November 14 to 16, it also conducted its annual Science-Math Fair and Exhibits. Some 20 schools from the CALABARZON and neighboring regions participated in the event held at the UPRHS campus in Paciano Rizal, Bay, Laguna. This year’s theme, “ALL ACCESS: Making Math & Science Work for the People” focused on the advocacy to encourage more engagement among students and teachers in the Science and Mathematics fields. Students from elementary, junior and senior high school, along with their teachers and parents, attended the event that also featured the UPLB Bee Program. In the activity organized by the AlGeoTrics Club and Delta Theta Epsilon Science Society, participants literally swarmed over the Bee Program’s indoor, glass-framed observation hives. Viewers observed the action and behavior of European honeybee (Apis mellifera) and stingless bee (Tetragonula sp.) species. They asked questions on bee biology and ecology and also learned about bee-derived products like honey, beeswax and propolis.